An HPO uses the organization’s openness to achieve results! 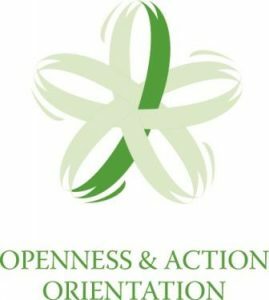 In addition to having an ‘Openness and Action Orientation’ culture, an HPO uses the organization’s openness to achieve results. 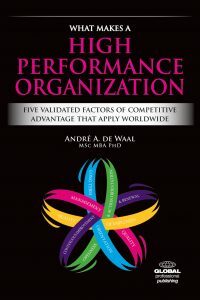 In an HPO, management values the opinion of employees by frequently having dialogues with them and involving them in all important business and organizational processes. HPO management allows experiments and mistakes by permitting employees to take risks, being prepared to take risks themselves, and seeing mistakes as an opportunity to learn. In this respect, management welcomes and stimulates change by continuously striving for renewal, developing dynamic managerial capabilities to enhance flexibility, and being personally involved in change activities. People at an HPO spend a lot of time on dialogue, knowledge exchange and learning in order to obtain new ideas to improve their work and make the complete organization performance-driven. The management of our organization frequently engages in a dialogue with employees. Organizational members spend much time on communication, knowledge exchange and learning. Organizational members are always involved in important processes. The management of our organization allows making mistakes. The management of our organization welcomes change. Our organization is performance driven. An HPO uses the organization’s openness to achieve results! And what about your organization? Do you want to create Openness and Action Orientation within your organization? Contact us or read all about our services on this page!